You can include your August Smart Lock Pro using the August Home App on your Android or iOS device. The lock must be set up and connected with the app. You will access the app and have the lock to enter its Z-Wave inclusion mode. Then put your Z-Wave hub into its own inclusion mode to pair. An interesting fact about the August Smart Lock Pro is that the August Home App already knows whether or not the connected lock is paired with a Z-Wave network. If the lock is not currently paired with a Z-Wave network, then there is no reason to clear the lock from the network before pairing. This is not the case for most Z-Wave devices, where clearing first is best practice. Of course, if the lock is currently paired with the network, then you will need to do an exclusion. For this FAQ, we will assume that the lock is not paired with a Z-Wave network. If you do need to exclude your August Smart Lock Pro from the network, we recommend checking this FAQ instead. 1. Connect to the app. Before you can configure the Z-Wave settings for the August Smart Lock Pro, you must get the device connected with the August Home App. All control and configuration for the lock will be done through the app. If you do not have the August Home App, you can obtain it for free from the Google Play Store or the Apple App Store. The August Home App will provide step-by-step instructions for pairing your August Smart Lock Pro. The lock pairs with the app through a wireless Bluetooth connection on your Android or iOS device. You should have Bluetooth enabled on your Android or iOS device. The lock should be in close proximity to your Android or iOS device during the pairing process. Remember, Bluetooth signals do not travel very far. Keeping the lock in close proximity is best practice for Bluetooth pairing. 2. Navigate the app. Once the lock has been successfully paired with the August Home App, you can begin the Z-Wave pairing process. From the August Home App, choose Lock Settings. Then choose Z-Wave Settings. If the connected lock is not paired with a Z-Wave network, then you will get a message stating “The Lock is not connected to a Z-Wave Network.” Press the "Add to a Z-Wave Network" button at the bottom. The lock may require a firmware update before it can enter its Z-Wave inclusion mode. The update process usually takes three to four minutes to complete. During this time, your Android or iOS device must remain close to the lock with Bluetooth enabled. Once the update is complete, you will be taken to a screen where you can put your lock into its Z-Wave inclusion mode. You can leave the app on this screen for the time being. 3. Enter hub inclusion mode. Next, you will put your Z-Wave hub into its inclusion mode. The process for doing this will depend on the Z-Wave hub or controller you are using. 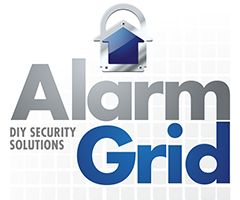 If you are using an alarm control panel, there will likely be an automation menu for this purpose. Check the instruction manual for your Z-Wave controller for more information. Continue once the Z-Wave hub is in its inclusion mode. 4. Pair the lock. Return your attention to the August Home App. Click the "My Hub is in Inclusion Mode" button to put the lock in its Z-Wave inclusion mode. The lock will begin looking for a network to join. You may need to have the lock in close proximity with the Z-Wave controller for the signal to go through successfully. You should receive notification from your Z-Wave controller once it has identified the lock. If necessary, go through and configure any settings for the lock on the Z-Wave controller. The August Home App should provide indication that the lock has been successfully paired with a Z-Wave network.